A two-time Society of Professional Journalists’ Mark of Excellence Award winner and National William Randolph Hearst Award finalist, Steve brings a wealth of media experience to TheLegalBlitz.com. As a student at Northwestern University’s Medill School of Journalism Steve covered just about every Wildcat sport as a writer for the Daily Northwestern and a broadcaster for WNUR 89.3 FM. After graduating in 2008, Steve took his talents to the Greenspun Media Group in Las Vegas where he covered everything from high school sports to the World Series of Poker. He also served as the road radio play-by-play broadcaster for the ECHL’s Las Vegas Wranglers. Steve’s sports writing has appeared in numerous publications including Vice Sports, the Sporting News Magazine, South Florida Sun-Sentinel, Tennessean, Cleveland Plain Dealer, Washington Times, Seattle Times, Deadspin, and Men’s Health Magazine. As a radio and television broadcaster, Steve has also been featured on Fox Sports Radio 920 AM Las Vegas, CBS 2 Chicago, B2Networks and VegasTV14. Steve earned his J.D. from the Beasley School of Law at Temple University, where he was a staff member of the Temple Law Review. Steve is currently admitted to practice law in Pennsylvania and New Jersey and is an associate in the litigation group of Pierce Atwood LLP in Portland, Maine. 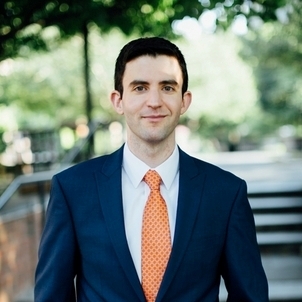 In 2015, Steve was named to Billy Penn’s “Who’s Next” list as one of the top 18 young lawyers in Philadelphia and in 2017 he was named as a Super Lawyers’ Rising Star. Steve was also invited to testify to the South Carolina Senate High Education Subcommittee as a Title IX expert in support of a bill to create trust funds for NCAA student-athletes and he succeeded in utilizing an emergency injunction to overturn a decision by the Pennsylvania Interscholastic Athletic Association barring a world-renowned Jamaican track star, Michael O’Hara, from competing in the Penn Relays. Our mission is to frame all aspects of athletics – including but not limited to competition, contracts, agents, media & technology, marketing & sponsorships, franchises & stadiums, economics, communications, and labor relations – in the context of law through a forum that everyone can enjoy and learn. We are committed to combining our knowledge of the law, experience in journalism, and passion for sports to provide a unique approach to the growing field of sports law. We generally use current events to inspire our content and interview industry specialists to educate our readers. We also feature original editorials, videos, and cartoons to inspire opinion. We encourage our readers to share our content and comment on it when they feel moved to do so. We are always open to accepting original content from those who wish to contribute. In the Fall of 2010 Ben McKenna and Steve Silver, both recovering journalists, met at Temple Law School. They both loved sports and rabidly consumed sports news on the Internet. Yet they noticed a lack of coverage on the legal issues that frequently arise behind the headline in current sports news. There was a void in the legal analysis and explanations provided by traditional media. In an effort to fill that void, McKenna and Silver created The Legal Blitz in the Spring of 2011 to give a voice to sports law experts to break down the meat of the legal issues driving modern athletics. TheLegalBlitz.com officially launched later that summer and made an immediate splash in the sports law industry. Having been highlighted by Deadspin, AboveTheLaw, Yahoo Sports, The Post Game, Philadelphia City Paper, and others, The Legal Blitz continues to see its readership grow daily. Ben helped with the site once, but now it’s just Steve. Please refer to Steve’s bio.